Michelle Leonard, DNP is Co-owner of CT ENT Sinus Center, Hearing & Balance and Director of Allergy. She joined the practice in 2013, having previously worked in immunology, family practice and geriatric palliative care. 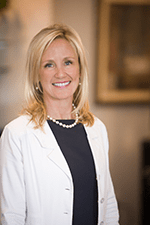 Prior to this, Dr. Leonard was an oncology nurse practitioner at Whittingham Cancer Center, an experience which inspired her sense of holistic healing in the daily care of patients. Dr. Leonard’s expertise in ENTallergy has helped patients find long-term relief from respiratory allergies caused by pollens, animal dander, molds and dust mites through personalized diagnosis and treatment plans. Many patients have had great success with sublingual therapy drops taken under the tongue at home instead of shots. Dr. Leonard continues to explore how holistic healing practices work in tandem with the best of Western medicine. She has studied at Aloha Mana, a Center for Healing Arts, having attended holistic workshops across the globe. Some of these include guided and inner child mediation, sound bowl healing, Reiki, and breath work to assist in stress management inner peace. Dr. Leonard is also a DoTerra essential oils wellness advocate and incorporates them into the care her patients. Dr. Leonard graduated from Marquette University in 1989 with a BS in Nursing. In 2008 she earned a Master’s of Science from Fairfield University, and is a Board Certified Nurse Practitioner. She has been a clinical faculty member at Fairfield University since 2008. Dr. Leonard finished her doctorate in 2017 and brought academic research regarding the unified airway to CT ENT. This research demonstrated the clinical and statistical evidence that Balloon Sinuplasty improves patient clinical outcomes and quality of life. Dr. Leonard is a native of Illinois and resided in San Diego, California, in the 1990s. She has lived in Westport, Connecticut, since 2002 where she raised two sons. Michelle enjoys swimming, running, cycling near the water and all life has to offer. CT-ENT's own Michelle Leonard, DNP, FNP-BC, APRN will join together with Active Ayurveda and Yoga LLC on a retreat centered around women's wellness and self-care for all stages of a woman's life, from puberty to menopause and beyond.